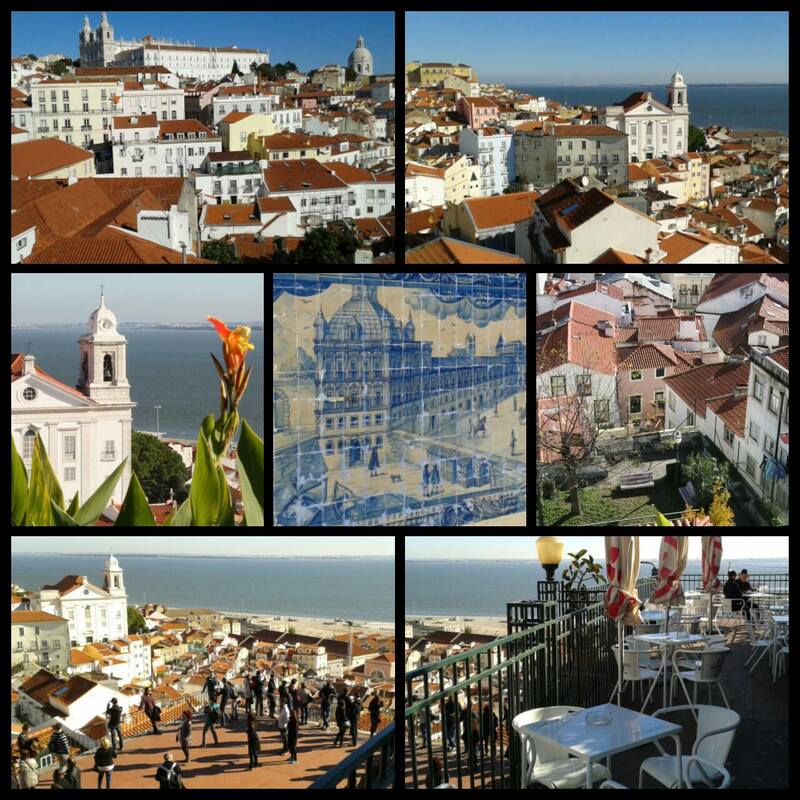 Alfama is Lisbon's most emblematic quarter. Is the oldest neighborhood in Europe after El Pópulo in Cadiz. 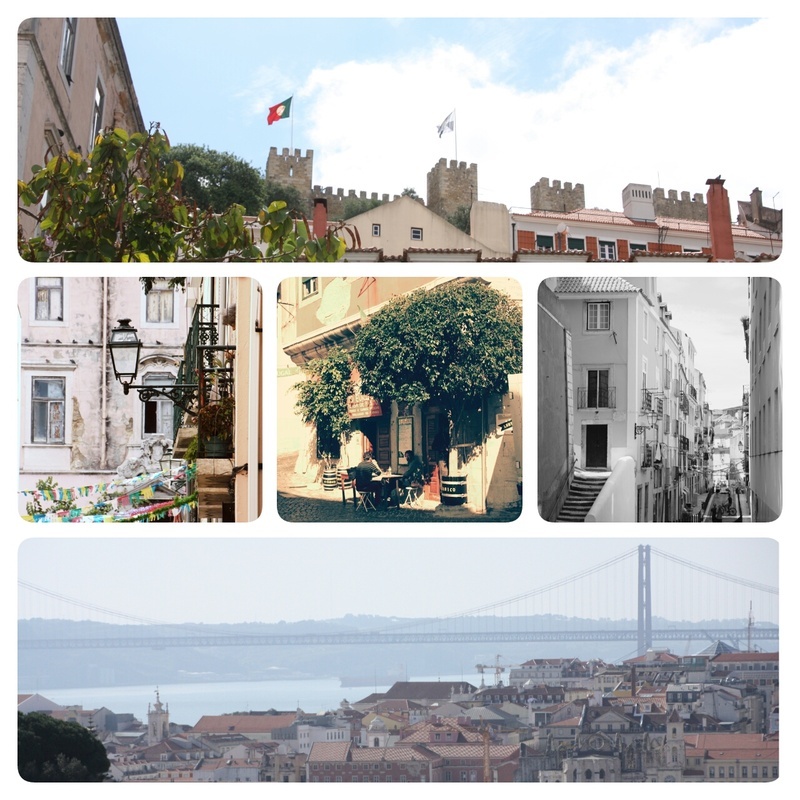 It's like a time capsule to the years before Lisbon was destroyed by the 1755 earthquake. It was settled by the Romans and Visigoths; it was an important Jewish quarter in the 15th century, but it was the Moors who gave the district its atmosphere and name (alhama means springs or bath, a reference to the hot springs found in the area). They were also responsible for its web of streets created as a defense system, while at the same time enabling their homes to remain cool in the summer. It is a village within a city, still made up of narrow streets, tiny squares, churches, and whitewashed houses with tile panels and wrought-iron balconies adorned with pots of flowers, drying laundry, and caged birds. You'll see magnificent river views, smell fish being grilled in a corner, hear the sounds of Fado coming out of a restaurant and taste authentic traditional meals. The district has an intangible quality that needs to be experienced to be truly appreciated, and the best way to get to know it is to get a little lost (something almost impossible to avoid), and wander around admiring the postcard-perfect views, visiting the churches, and walking up to the castle(check the "Alfama, 2nd part" post) for the most breathtaking panorama of the city and the greatest sunsets. The best place to start your wondering is at this viewpoint, a balcony that opens onto the river offering truly spectacular views over Alfama. Faced by soft-toned buildings and the Decorative Arts Museum it offers a stunning view from São Vicente de Fora Church to the river. Don't miss the statue of St. Vincent (the city's patron saint) holding a boat with two ravens, the symbols of Lisbon. This romantic terrace by the church of Santa Luzia introduces visitors to Alfama with a sweeping view over its houses, churches, and the Tagus River. On an outside wall of the church are two tile panels, one of Comercio Square before the earthquake, and another showing Christians attacking St. George's Castle in 1147, with Martim Moniz's heroic action. Located outside the city walls (hence the name "De Fora" meaning "on the outside"), it was inaugurated in 1629 but was severely damaged in the 1755 earthquake. It was then restored, and in 1855 the old monastic refectory became the pantheon of the Bragança dynasty. The interior and cloisters are adorned with exceptional 18th century tiled panels. A highlight of those is a series of panels illustrating scenes from LaFontaine's Fables. 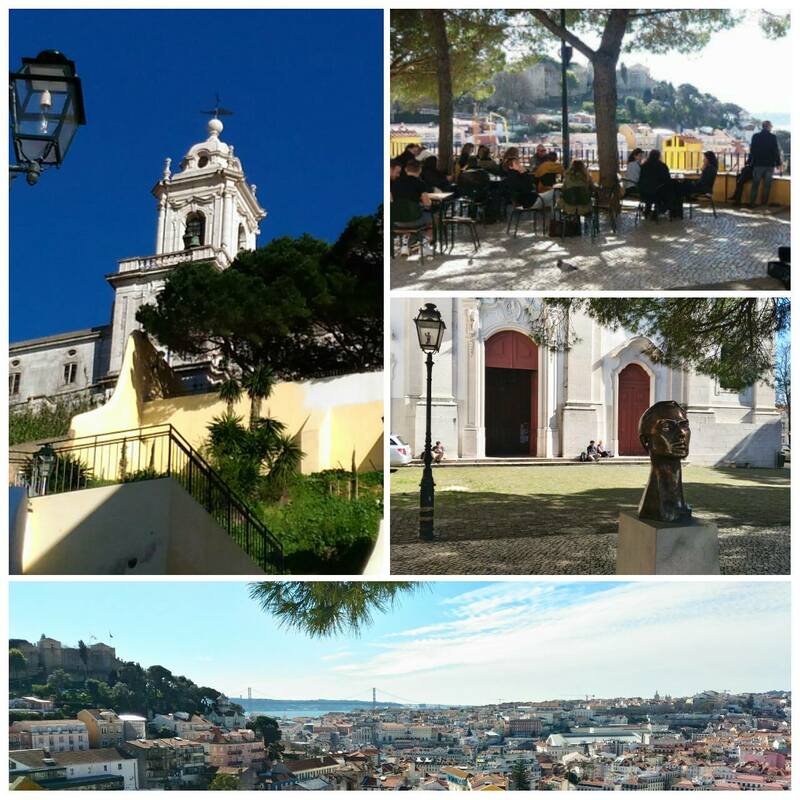 Up on the roof is a terrace with superb views of the National Pantheon, Alfama, and the Tagus River. 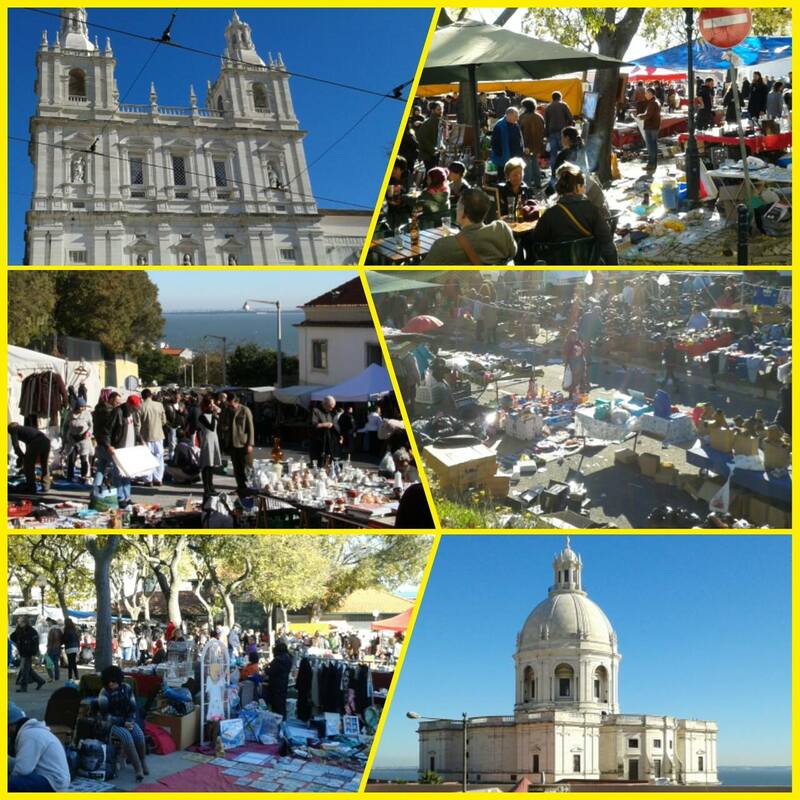 One of Lisbon most famous flea market is called locally the Feira da Ladra. Often thought to mean "Thieve's Market" (in Portuguese "ladra" is a woman thief) but it actually derives from "ladro," a bug found in antiques. A market of this type is thought to have been in place in Lisbon since the 12th Century and the name Feira da Ladra was first mentioned in the 17th Century. The market is held every Tuesday and Saturday, from dawn to dusk. A myriad of small stalls sell all sorts of second-hand and new products, and other traders simply display their store on a stretched-out blanket. Hand-made artisan goods, CD's, books, clothes, stamps, coins, military objects, antiques and furniture is all on display here. This baroque church has been designated the National Pantheon in 1916, during the First Portuguese Republic.The personalities buried here include several Presidents of the Republic, writers and in recognition of their iconic status, the most famouse fado singer Amália Rodrigues, and footballer Eusébio. There are also diverse cenotaphs. The interior is covered in beautiful, multicolored slabs of polished marble and it is crowned with a dome that provides a 360-degree view of the river and the city. The church stands on the site of an earlier church that was torn down after being desecrated by a robbery in 1630. A Jew was blamed for this and executed, but was later exonerated. Legend has it that before dying he cursed the rebuilding of the church because of the conviction of an innocent man. The plan to reconstruct (bearing many similarities to Peruzzi's plans for St. Peter's in Rome) did take several centuries to be completed and was only finished in 1966. As you walk down the medieval lanes of Alfama, you’ll come across some intriguing tile panels on many of the façades. They are called azulejos and date mostly from the 1700s. Almost all are devotional panels, as it was believed that they protected buildings from fires and earthquakes. 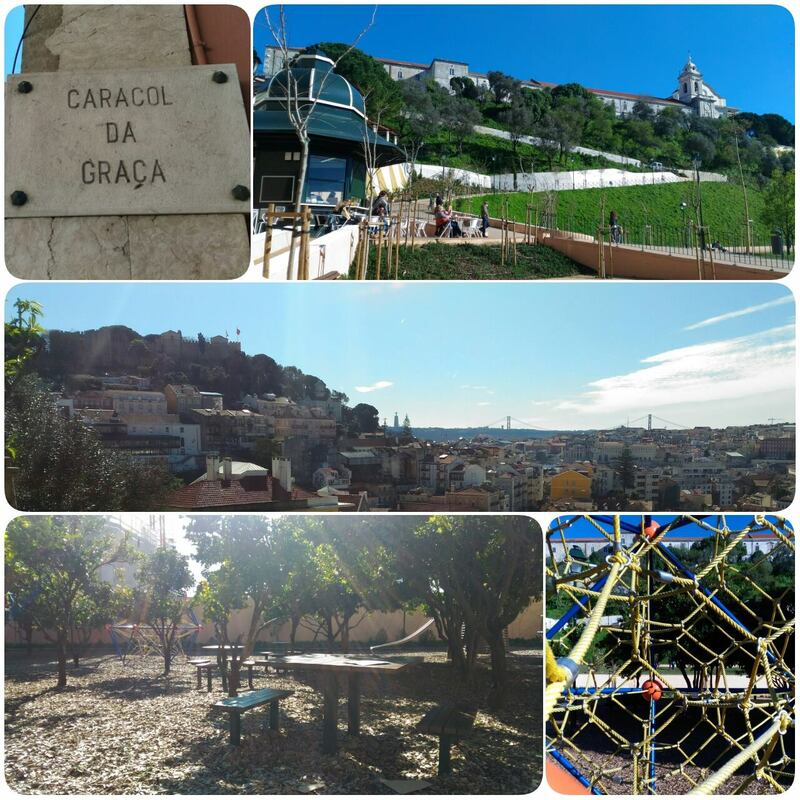 The Graça district has a lively local atmosphere. The shopping is inexpensive, and there are several excellent cafés and restaurants along the main road and tucked away in narrow back streets. This is the best place to relax, take some pics and enjoy wonderful views of the city. Spread as it is across one of the city's steepest hills, Graça commands a glorious panorama of the Portuguese capital; a number of miradouros (viewpoints) can be found dotted around the area. The Graça Church is one of the city's oldes ( built in 1271) with a Baroque interior and 17th century tiles. 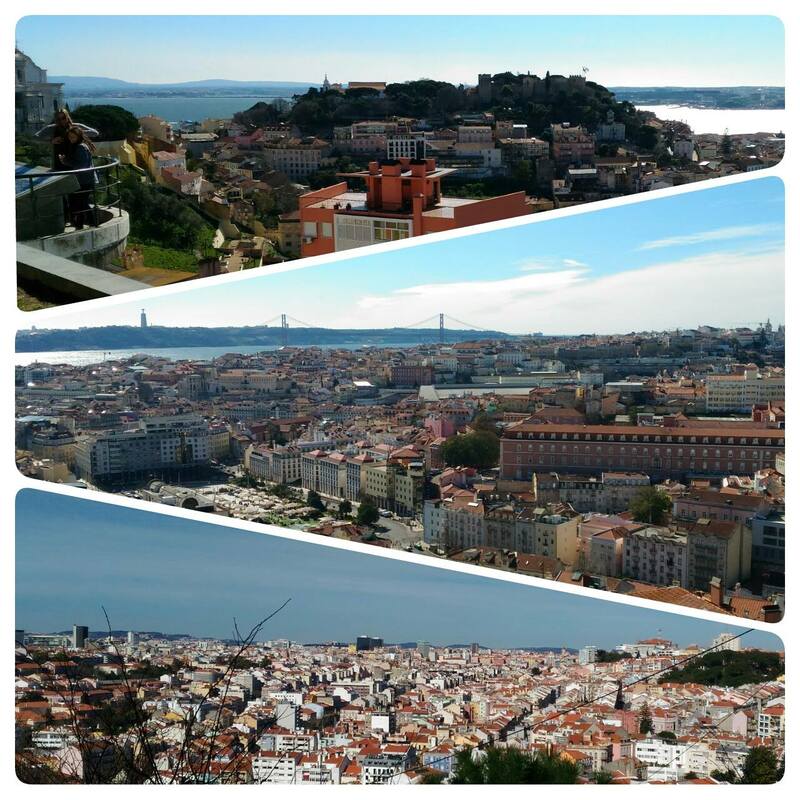 The real attraction is its beautiful viewpoint, known as Miradouro da Graça, a splendid terrace offering a panoramic view of the castle and central Lisbon. The open-air cafe and its relaxing atmosphere is a favorite with young locals, especially in late afternoon. During the summer it remains open well into the night. This new park in the historical city center offers a beautiful space where you can spend some times in the sun drinking a coofe or having a pic-nic. Don't miss the yellow climbing sphere! For the view of all views reach the Nossa Senhora do Monte viewpoint. Here, a small 13th-century chapel overlooks a tree-filled garden where arguably the finest outlook of Lisbon can be admired, a wide-angle canvas that takes in the entire southwestern wedge of the city. Bag a bench and linger. 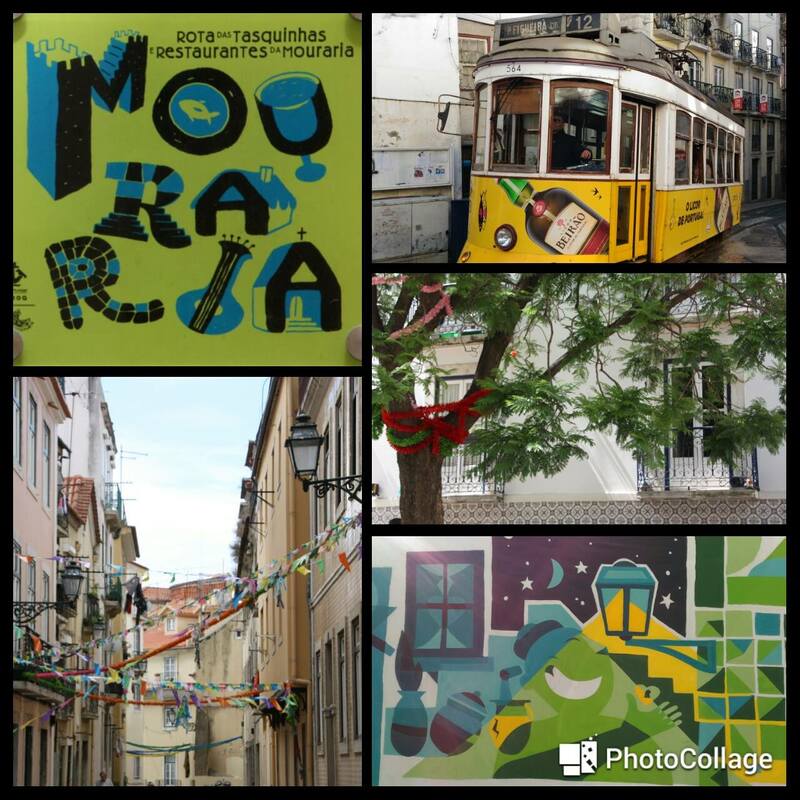 Arguably the most multicultural place in Lisbon, Mouraria is an old medieval neighbourhood which is the birthplace of the Fado music genre. 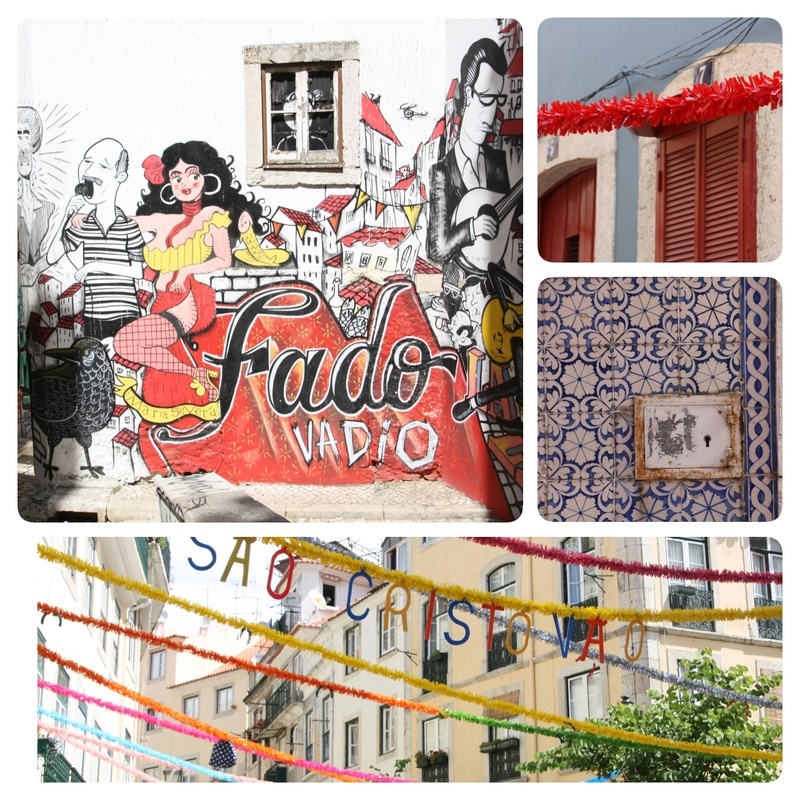 In Mouraria you will see the traditional, not-yet-gentrified old Lisbon, together with the Chinese, Indian and African communities that now define the neighbourhood. The place to go for cheap knockoffs and exotic groceries. -Viùva Lamego: One of the most beautiful tiled façades in the city. 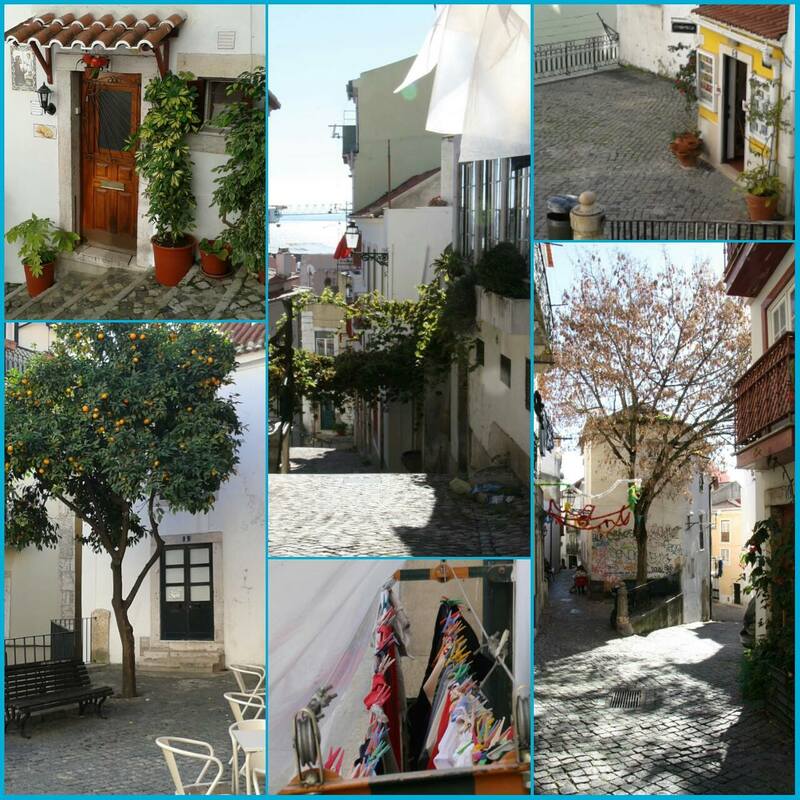 -Casa da Severa: The house where the first great Fado singer (Maria Severa) lived, has been restored and is now a small cultural center dedicated to Fado, with live performances and a restaurant. -Escadinhas de São Cristóvão: a stairwa with a mural honoring the local Fado tradition. 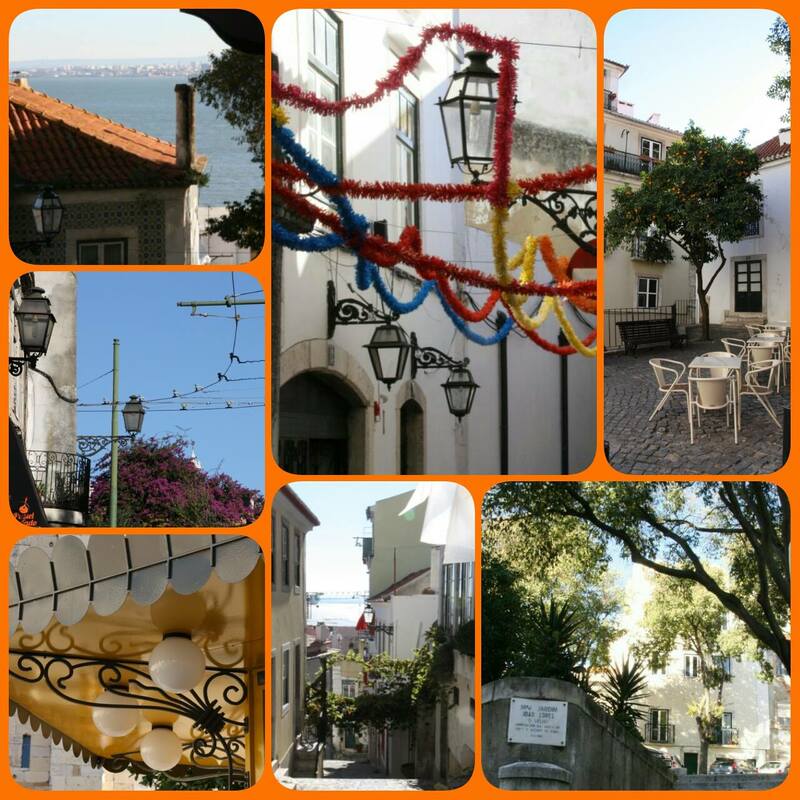 -Largo da Achada: A tiny square that hides one of Lisbon’s oldest homes, dating from the 1500s and a survivor of the Great Earthquake of 1755, maintaining its gothic windows. -Have a drink in one of the various rooftop bars facing the castle and overlooking downtown. This square is the center of Mouraria. It’s the terminal of the famous tram 28 and a perfect start point if you want to walk through the streets and stairways of Mouraria. It was revived in 2012 as a street food market, with several food stalls with terraces now serving the flavors of the neighborhood’s various cultures. On weekends it hosts the "Fusion Market," mixing a variety of products, from handicrafts to ethnic and organic foods, often accompanied by live music. A giant dragon, created in 2012 (year of the dragon) using pieces of old cell phones and computers, is found in the middle of the square, as a tribute to the Chinese community. 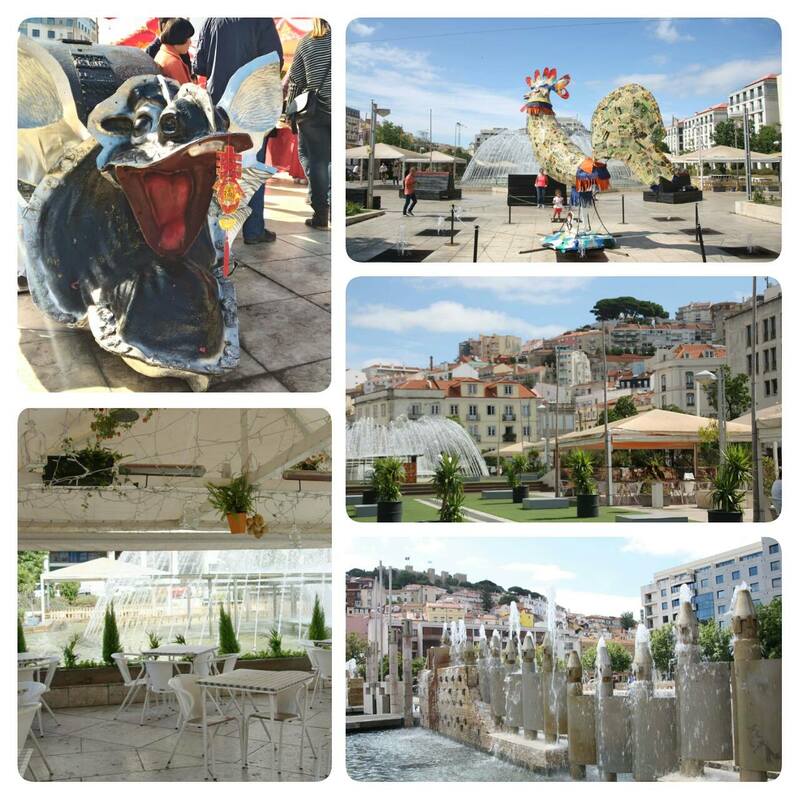 The square is named after a Portuguese knight of noble birth, and famous figure in the Siege of Lisbon in 1147. He helped to conquer the castel sacrificing himself. In his honor several monuments and parks are named after Martim Moniz. Such as the fountain in the square and the metro station which features a stylized graphic depiction of the event on its walls. Hi everyone! 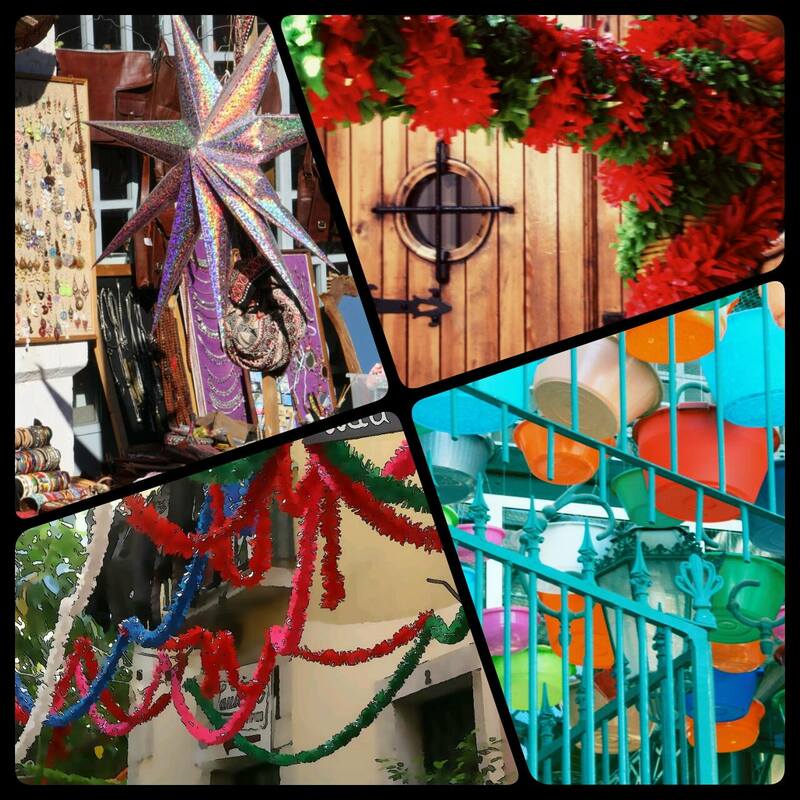 This part of the blog will show you some glances of this Wonderful city. 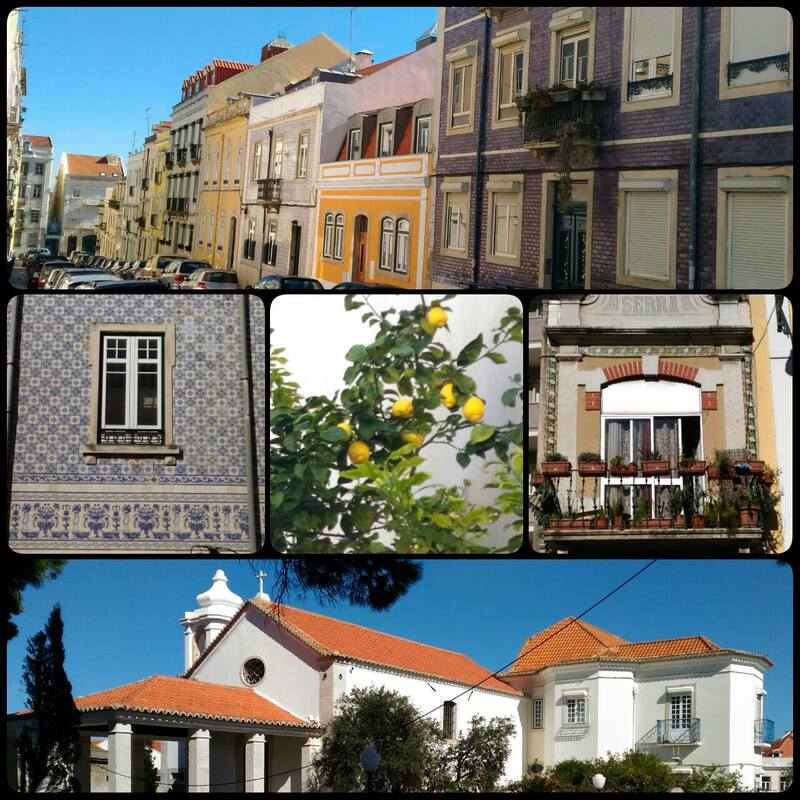 Lisbon has a lot to offer and here we are going to post some information and pictures of the typical districts of Lisbon. 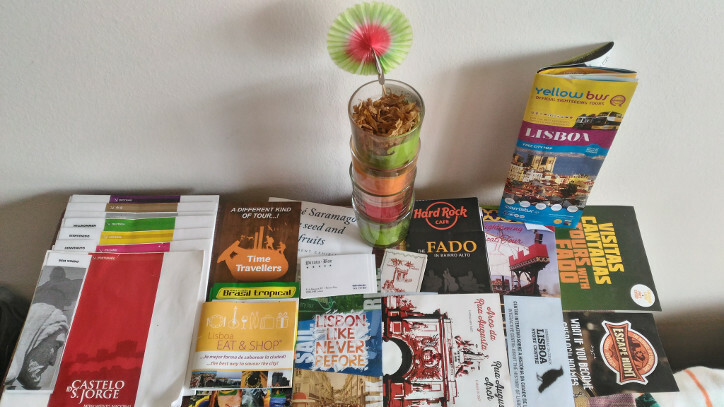 We think that the best way to visit Lisbon is to get lost in it, don't be afraid to wander the narrow streets of Alfama and Mouraria or to experience the portuguese spirit of discovery in Belem! Once you'll arrive to Alcalocco, you'll find more information and tour suggestions; furthermore we will be happy to show you the city. 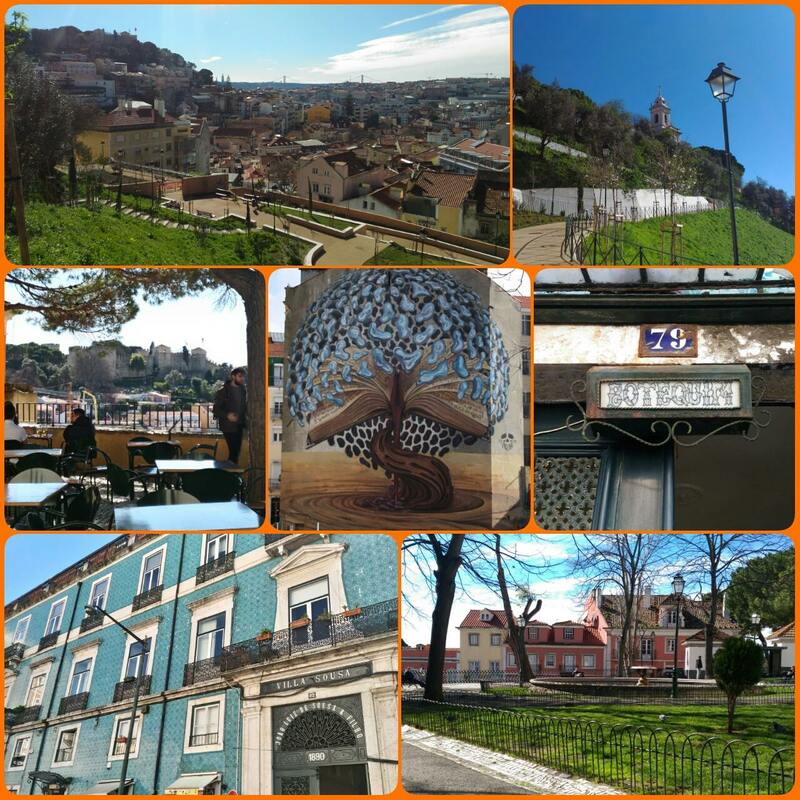 Remember, Lisbon is build on 7 hills, what on the map may looks like a short walk it could turn out to be 15 minutes uphill; bring comfortable shoes! In any case transports are affordable and a nice way to enjoy the city, expecially on the trams!